We've put together a collection of unique and exciting itinerary ideas for you based on what our clients have wanted over the past 12 years. These itineraries can form the base for your New Zealand experience. From the top of the North Island at the Bay of Islands to the bottom of the South Island with Milford Sound and Dunedin; you will be able to enjoy it all at a relaxing pace allowing you to not only see the beauty of the country but to also truly feel the essence of New Zealand. Experience New Zealand's most popular tourist destinations on this creatively designed 14 day self drive tour. Auckland, Fiordland, Milford Sound, Queenstown, Mount Cook, Christchurch, Rotorua and the Bay of Islands... it is all here. From beaches to glaciers! This trip covers New Zealand's most famous sights plus adds a few of the lesser known treasures of the country. This is a trip Gina designed for some dear friends and we think the diversity and uniqueness of this tour should be shared with others. Nature at its finest! Begin enjoying New Zealand by exploring Abel Tasman National Park. Journey down the Wild West Coast, see glaciers and World Heritage Rainforest then indulge in the adventures of Queenstown. The trip ends in the serenity and beauty of a guided Milford Track Hike. What do Sauvignon Blanc, humpback whales, penguins and Milford Sound have in common? Answer: This self-drive New Zealand tour! If you enjoy nature and wildlife - this quite simply is one of our best tours. From Hobbiton to Rivendell, Edoras to Mt Doom, this itinerary will satisfy the most ardent LOTR fan. 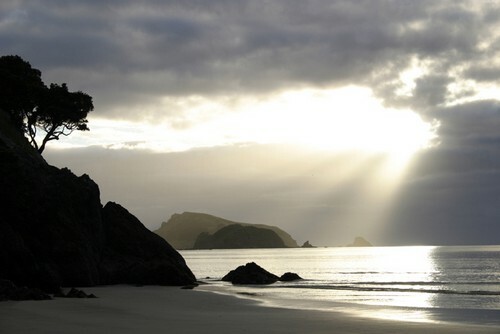 Witness the diverse beauty of New Zealand and see first hand the best film sites from the trilogy. After years of researching and designing honeymoon & anniversary celebrations, we have compiled the ultimate! Spectacular destinations with romantic and breathtaking lodgings enjoyed at a relaxed pace. Not the cheapest, just the ultimate! We love this trip! You only travel on two days yet you get all the beauty and fun of the South Island by experiencing day trips. Two weeks to see the best of the North and the South Islands! Perfect places for family activities and leisure.